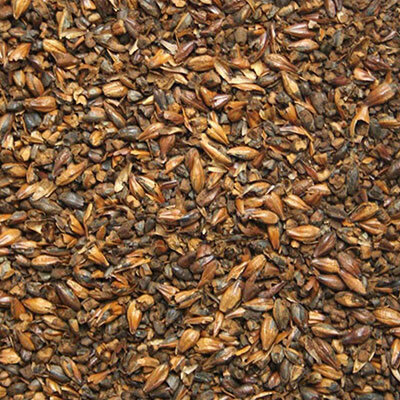 Malt Type: Adjunct Grain Origin: North America Wort Color: 300 °Lovibond (800 EBC) Protein: Moisture: 5.0% max. Extract (dry): Diastatic Power: Usage: 7% max. 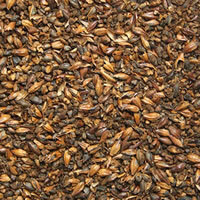 Roasted, unmalted barley has a dry, coffee flavor with an intense bitterness and imparts deep brown color to wort that affects the foam color of the finished beer. The sharp flavor of roasted barley is characteristic of classic porters and stouts. 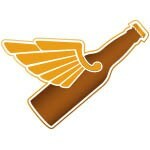 But it can also be tempered with black or chocolate malts for milder results.